Each Tubular Handrail Kit comprises of: 42.4mm or 48.3mm Diameter Stainless Steel Handrail, Stainless Steel End Caps (fitted), Stainless Steel Invisible Fixing Brackets and Fixing Screws. This invisible fix bracket and handrail kit is available to order on-line in 1, 1.5, 2, 2.5, 3, 3.5 and 4 metre lengths. If you require a custom length please don't hesitate in calling us. 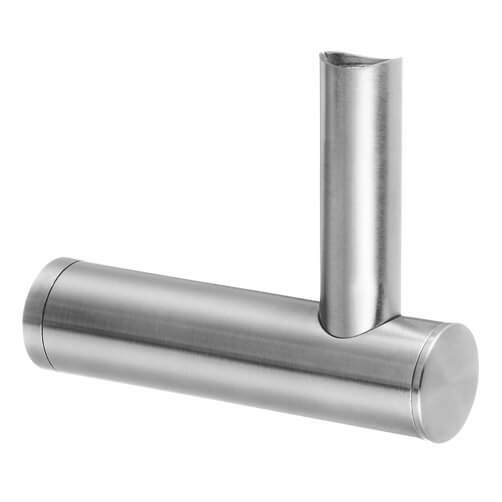 Stainless steel tubular handrail with fitted end caps. 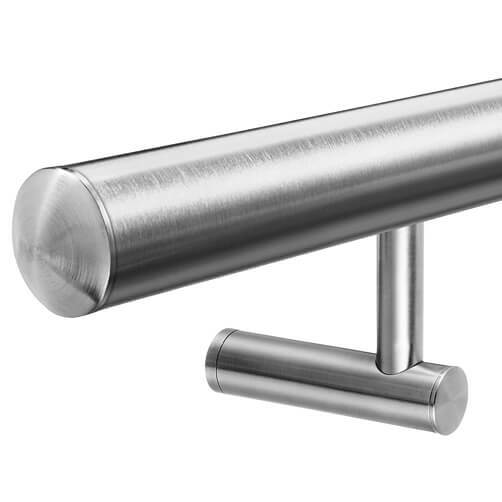 Complete with stylish handrail brackets, supplied loose for installation. 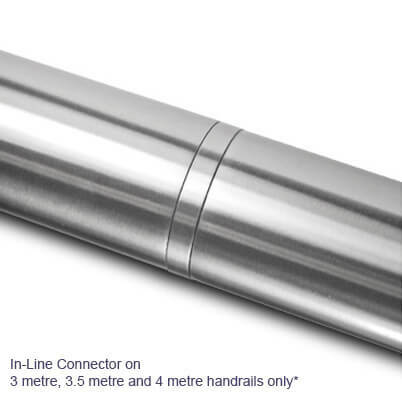 Available as either 42.4mm or 48.3mm diameter tubular handrail. Height adjustable with +4mm or -4mm refinement. 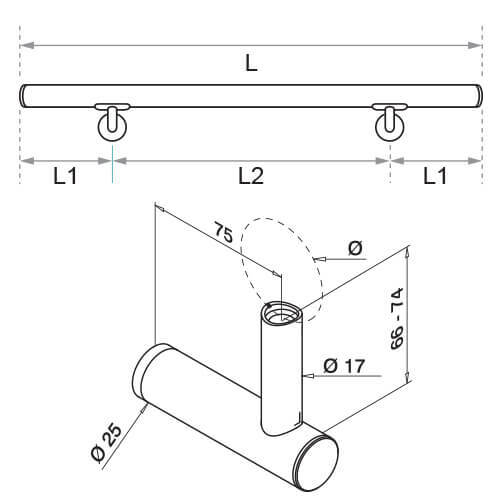 Download and print our installation advice sheet for this Tubular stainless steel handrail with invisible fixing brackets. For a quick and easy installation you will need a few household tools: pencil, tape measure, spirit level, drill, hex head key and suitable rawl/wall plugs. First we recommend that you mark out the bracket positions in pencil using a tape measure and spirit level onto the intended fixing surface. 1. Drill pilot holes and insert your rawl/wall plugs and fix handrail mounting plate securely in place. 2. Slide the bracket stem onto the mounting plate and secure in place with the grub screw using a hex head key. 3. Attach upright stem to handrail and secure to bracket mount by tightening the grub screw. 4. Push fit the cover cap into place. 2. Apply the high strength adhesive to the in-line connector and insert into the open handrail tube end. 3. Remove any spillage with a cloth and allow adhesive to set (adhesive setting times are dependent on ambient temperature).